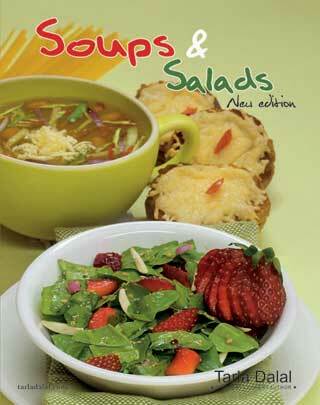 Do you think Soups & Salads are boring ? We'll make you think again. Tarla Dalal shares with you her SALAD secrets, along with delicious creations guaranteed to please even the most fastidious palates. This book shows you how to make delicious vegetarian soups ranging from the clear soups to creamy purees & chunky vegetable soups. The salad range includes favourites from the world over, complete with a section of delicious vegetarian salad dressings.